State DOTs often use guidance and a project selection process that leads to overbuilt projects that don’t fit their context and are ill tailored to the needs of the community. To build better projects that fit in the areas they serve, state DOTs need to acknowledge land use and context and update their project selection process to focus on outcomes. 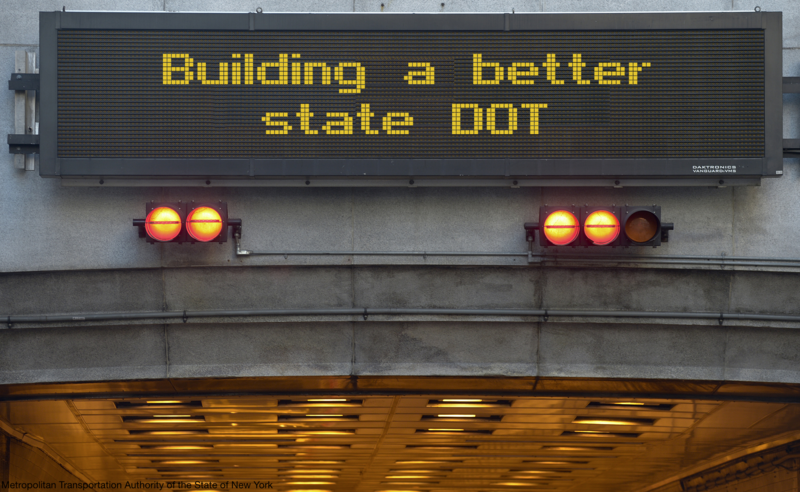 State DOTs founded to build highways are now in charge of building and operating a much broader array of transportation infrastructure and services than ever before. But to build more cost-effective projects that meet modern mobility challenges and broader economic and environmental goals, state agencies will have to reassess the assumptions that so often drive them in the wrong directions. Although state DOTs were largely created to build highways, they are now responsible for moving people and goods safely and efficiently across multiple modes—bike, walk, bus, trains, ferries, and cars. But to do a better job of meeting all these diverse needs and provide a multimodal transportation system that supports economic growth and livable communities, changes to their policies, internal processes, and agency culture are required. Smart Growth America and the Governors’ Institute on Community Design worked with state departments of transportation to question and assess their underlying assumptions that lead many states to over built, expensive highway solutions for every transportation problem. The following memos are the outcome of that work, which delve into seven common areas of reform that we identified. The most productive state departments of transportation are those that have come to grips with the fact that moving cars fast all the time is hard to square with most of their other stated priorities, whether improved safety, more mobility, or reduced costs. Over the last two years, Smart Growth America has been working to help a small group of state departments of transportation question and assess the underlying assumptions that lead many states toward giant highway solutions for every transportation problem. A road crew repaving Main Street in Lancaster, OH. Photo by Robert Batina via Flickr. In 2008, just 6 percent of roads in Ohio were listed as being in “poor” condition. By 2011, though, that number had ballooned to 20 percent — the state was failing to keep up with needed repairs. Yet during that same time Ohio spent millions of dollars building new roads, taking funds away from repair work and adding to the state’s future repair burden. Many states across the country are in similar predicaments. As Smart Growth America detailed in our 2014 report Repair Priorities, between 2009 and 2011 states collectively spent $20.4 billion annually to build new roads and add new lanes — projects that accounted for just 1 percent of their total road system. During that same time, states spent just $16.5 billion annually repairing and preserving the other 99 percent of their roads. This despite the fact that roads conditions were deteriorating faster than many states could fix them. “Crazy ideas” in action: Complete Streets features in downtown West Jefferson, NC. On Tuesday we hosted a panel discussion about Safer Streets, Stronger Economies, new research from the National Complete Streets Coalition on the outcomes of Complete Streets projects across the country. If you missed the event, read our full recap and watch the recorded webinar. Dean Ledbetter, a Senior Engineer at the North Carolina Department of Transportation (NCDOT), joined the panel to discuss the Complete Streets project in downtown West Jefferson, NC. There were so many questions about working with transportation engineers, and for Dean specifically, that we said down with him for a follow-up conversation. Alex Dodds: You mentioned that you initially thought that Complete Streets was a “crazy idea,” but that eventually you changed your mind. What convinced you? Dean Ledbetter: I don’t know if there was one specific thing. I think I had to go through the [Federal Highway Administration’s] training several times for the reality of something new to overpower the existing “knowledge” I had about what my job was supposed to be. And I have to admit that we only went to those classes to get the free Professional Development Hours not because we really expected to learn anything useful. Learn all about the third edition of "The Innovative DOT"
Earlier this month we released the third edition of The Innovative DOT: A handbook of policy and practice. The new and improved guide includes tools for state DOTs working to improve safety, alleviate congestion, improve system reliability, accelerate project delivery, preserve valuable assets, reduce environmental impacts, and enhance economic opportunities—all in an era of constrained budgets. 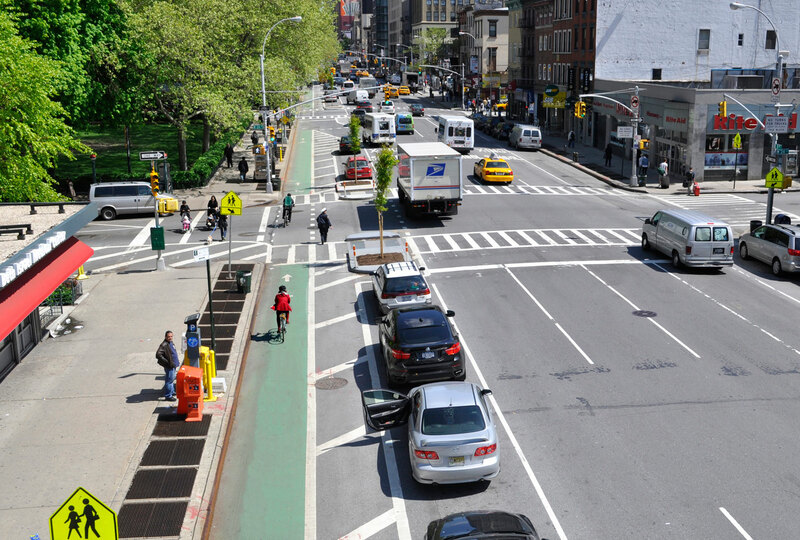 We want to make it as easy as possible to use the new guide, so Smart Growth America and our co-authors the State Smart Transportation Initiative are hosting a free webinar all about it. Join us tomorrow, January 27, 2015 at 3:00 PM EST to learn about new features of the 2015 edition and to discuss how transportation professionals have applied the manual. Hear from panelists Billy Fields, Assistant Professor of Political Science at Texas State University; Roger Millar, Vice President of Smart Growth America and Director of Smart Growth America’s Leadership Institute; Adetokunbo “Toks” Omishakin, Deputy Commissioner/Chief of Environment & Planning at the Tennessee DOT; and Chris Spahr, SSTI Project Assistant. The speakers will highlight new features in the third edition, and how state DOTs across the country are already putting the manual into action.